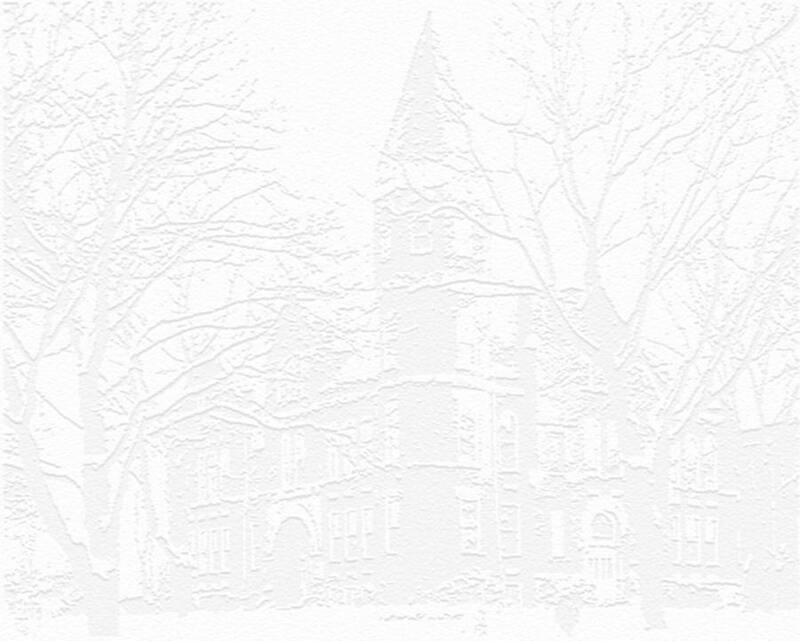 It will be difficult to get through this edition of the website without getting extremely emotional. This past weekend was both troubling and uplifting. 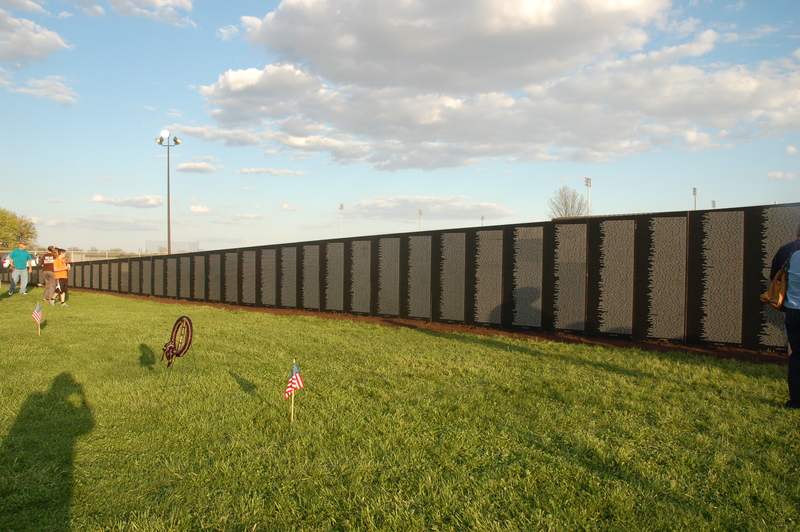 Due to the incredible efforts of Mike and Connie Kennedy, The Journey Home, and many, many volunteers, some of whom are classmembers, the Vietnam Memorial Traveling Wall came to Winchester. 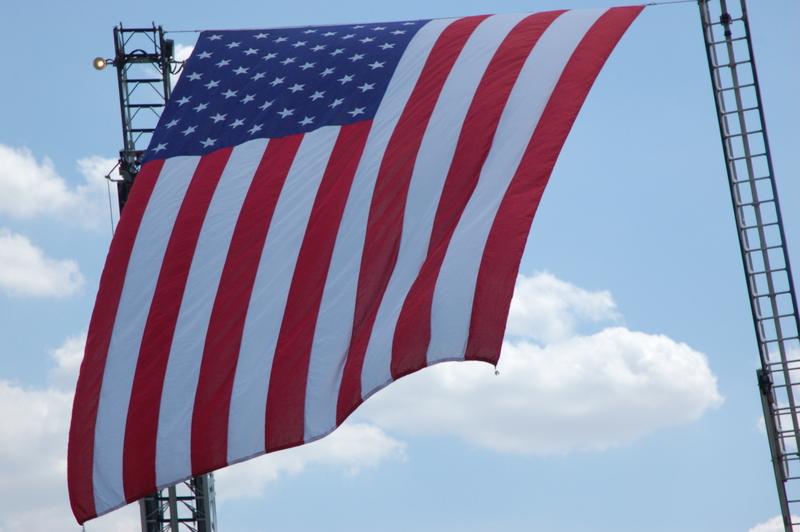 The Journey Home is committed to helping veterans get control of their lives post military service. I encourage everyone to support this effort to save so many who have given up so much for us. 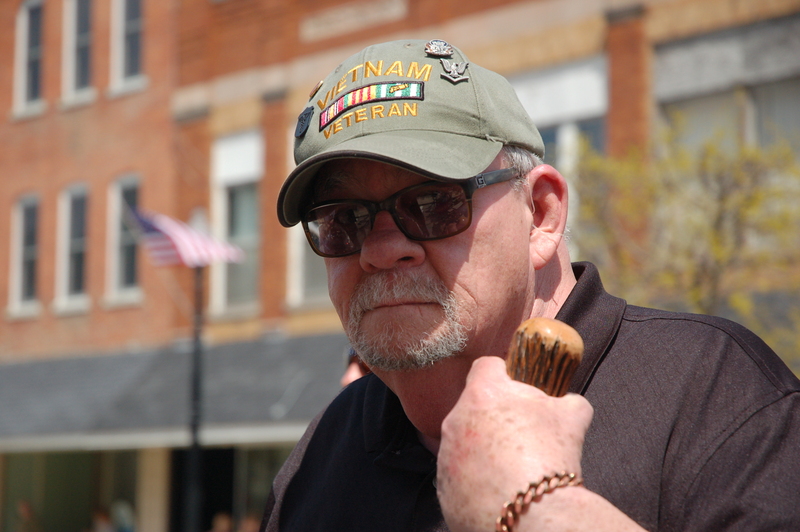 Ted Martin was a guest speaker and did a great job telling stories of his military experience, and also provided some entertainment at the expense of Bob Marker and a trash receptical, and an innocent jar of peanut butter! I love history, and as I was walking through the museum tent, I saw this poster. It intrigued me. 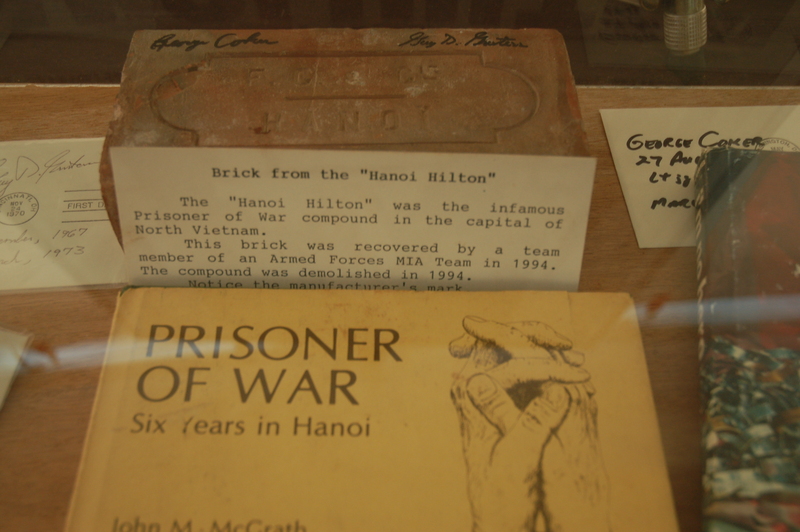 Below it, was a brick salvaged from the Hanoi Hilton. But, it was the poster that got to me. Here is where my tears began; however, the sobbing came shortly afterwards. Beside me was an older gentleman, who had tears streaming down his cheeks. He was a veteran, but I do not believe it was from the Vietnam War. I say war, because I do not care if the government called it a conflict or not, looking at the thousands of names on that wall, no one could ever tell me they lost their lives for only a conflict! I did not have the heart to ask him if it might have been himself or someone he loved who had been lost, his grief seemed so raw, as if it had only been recent, I just felt I should let him grieve privately. 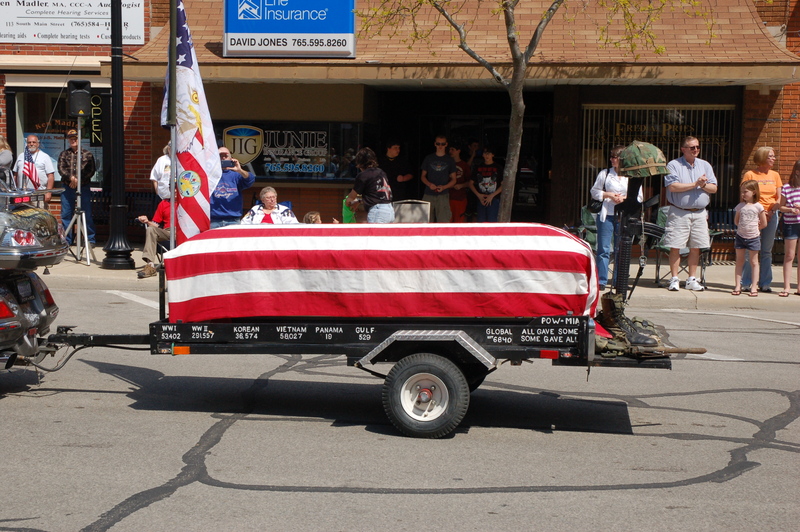 But I did know he was a veteran, and so I turned to him and took his hand and thanked him for his service. He was very appreciative of that and hugged me. We cried together for a moment before moving away so that others might view the artifacts in the tent. I saw so many people looking for names on the wall. Some were found, others were not. Memorial flowers lay at many sections. 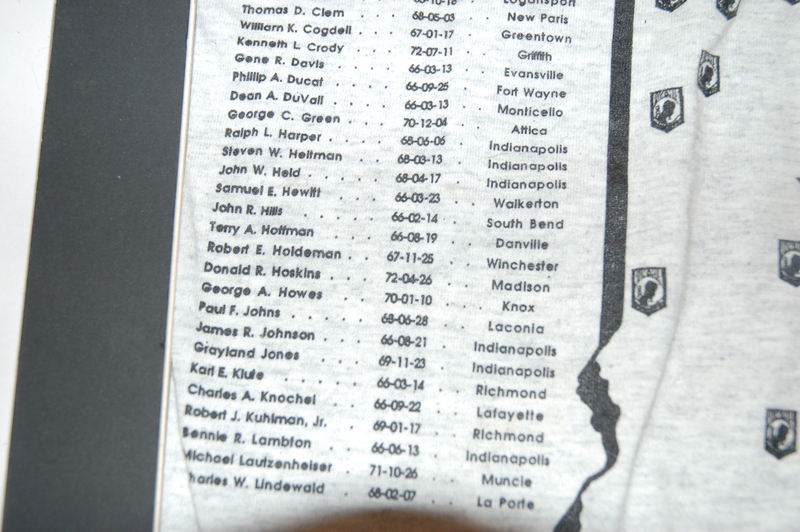 Next to the poster was a t-shirt with names of Indiana soldiers who were MIA. One name immediately jumped out, as I was totally unaware Winchester had anyone killed in Vietnam, let alone MIA. Robert Eugene Holdeman was born in 1931. He was a Marine and the plane he was in was shot down near Haiphong, North Vietnam on November 25, 1967. 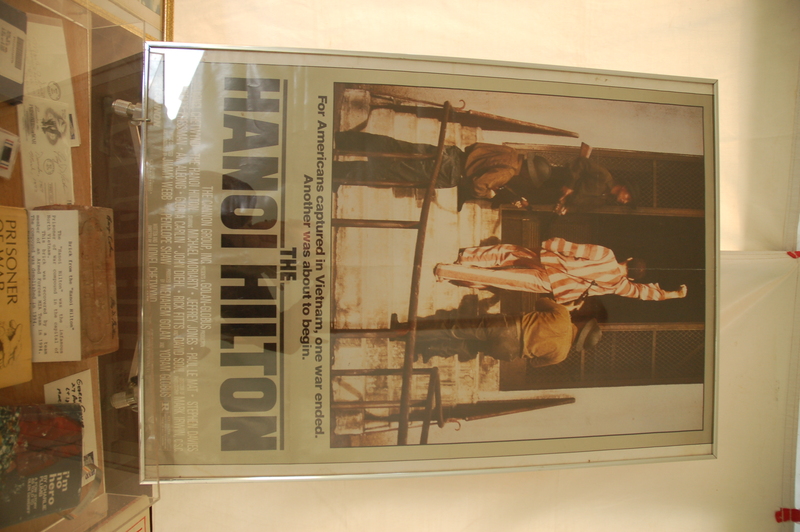 He was repatriated on June 26, 1997. It was heartwrenching to look at the photographs of all the young faces of the "boys". There were pictures of men in front of jeeps, helicopters, planes, and even one of a sign that said "China Beach". 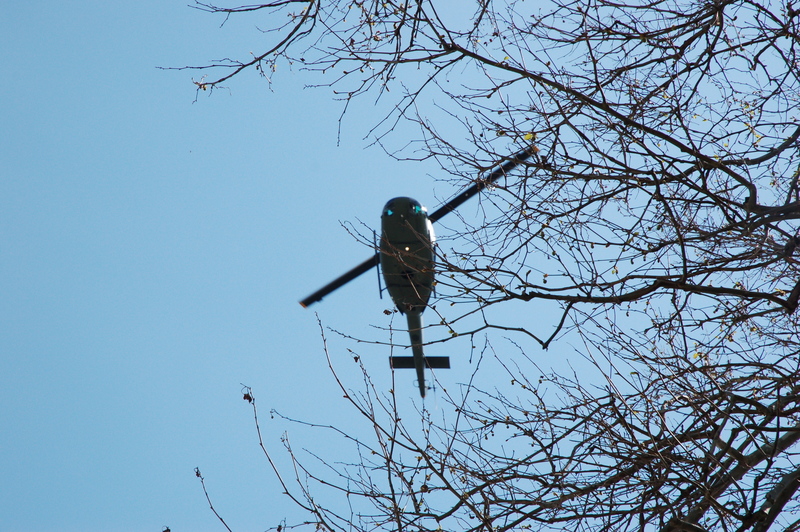 There were two helicopters, and crew members were giving rides. The price was pretty hefty, but people were flocking to them to have the opportunity to ride. 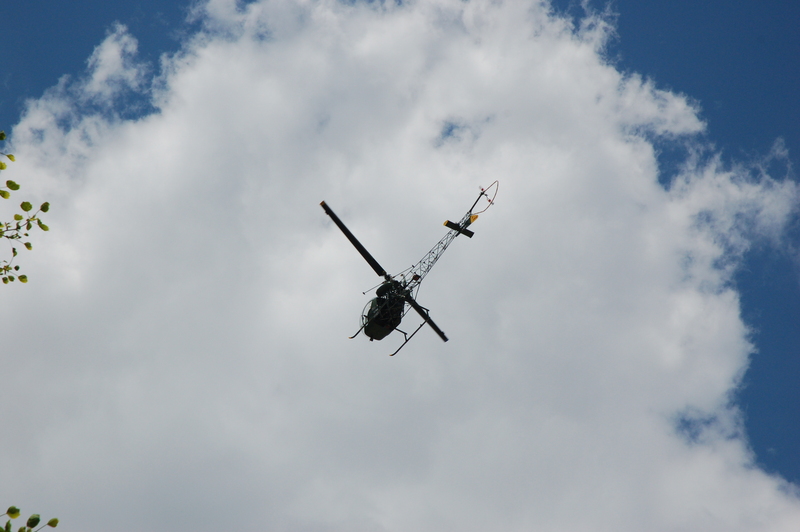 Forgive me if I get this wrong, I am not at all knowledgeable in military aircraft, but one was a Huey, and the other was a Bell (H-13 Sioux), I believe. Flights were almost constant from the football field at the high school. 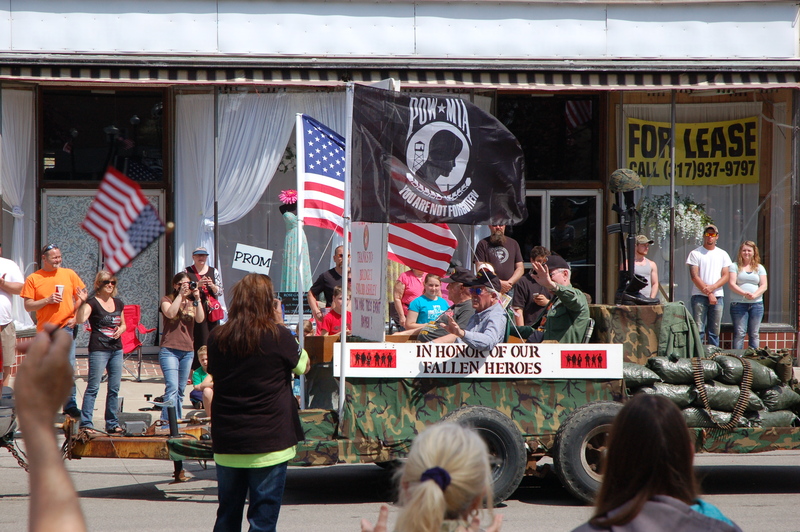 There was a parade on Saturday, and it was one of the longest I can remember. 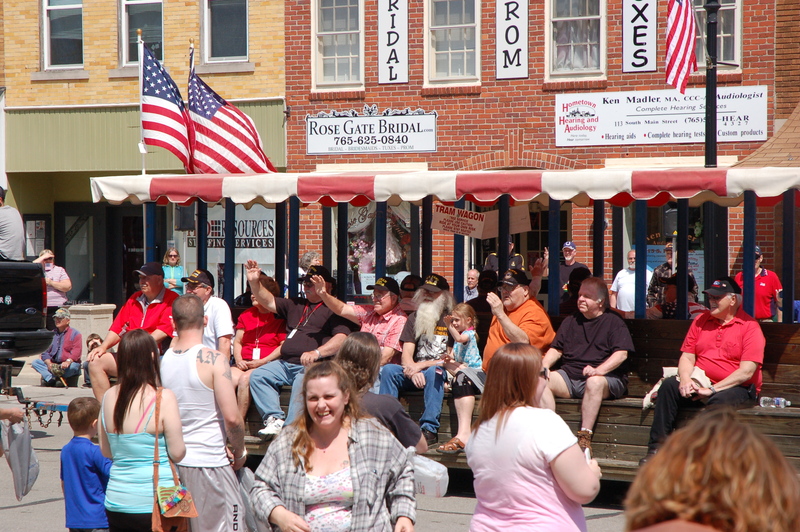 It took 1 hour and 10 minutes to pass the Courthouse Square. 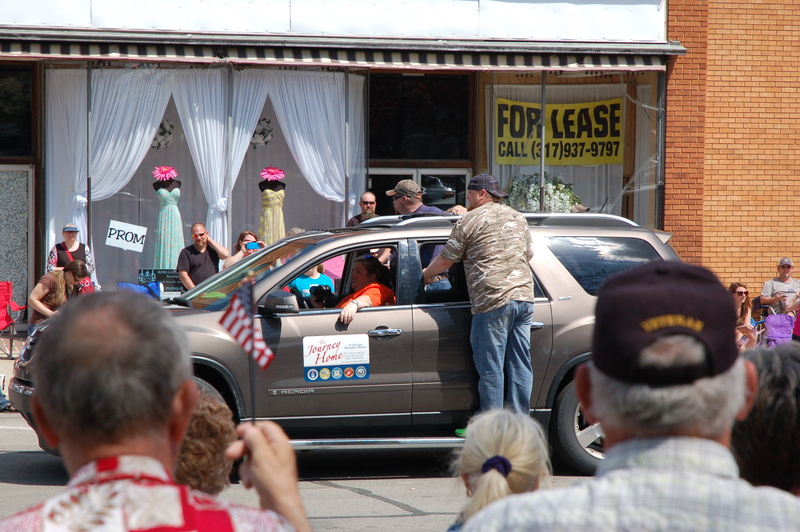 The people who came to watch the parade cheered and clapped as the veterans from each branch of the military passed. Many of the Veterans yelled "thank you" to the crowd. This may have been the first recognition or appreciation many had ever been shown for the sacrifice they made so many years ago.